From Chapter 7 – Spleen Figure 7.51. Ectopic spleen in a dog. 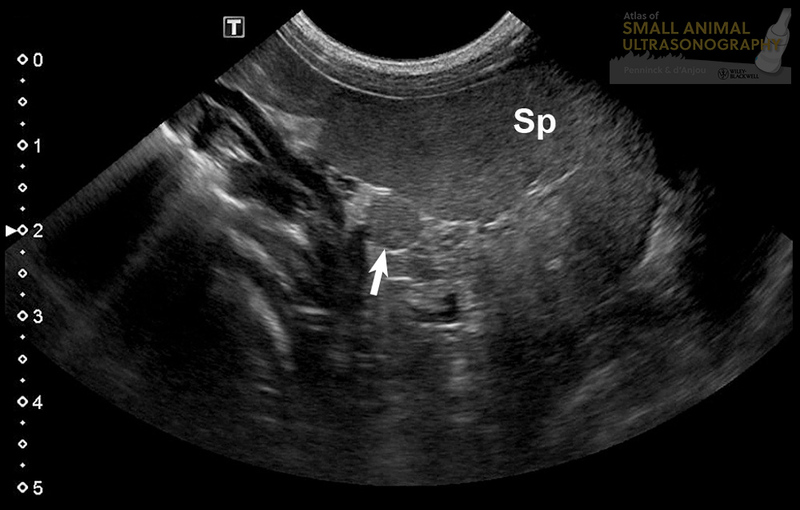 A small rounded structure (arrow) is present along the mesenteric side of the spleen, near the hilus. It has similar echogenicity and echotexture as the spleen (Sp). Such tissue may be misinterpreted as an enlarged lymph node or metastatic nodule.